Includes unlimited streaming of Desert Butterflies via the free Bandcamp app, plus high-quality download in MP3, FLAC and more. Butterflies in the desert? Is this possible? When we think about a Desert, we usually think of a wasteland, one color, a desolate routine, even ‘boring’... When we think of butterflies, we think of freedom, of many colors, a symbol of change – one butterfly’s wings can trigger a change in the other side of the world. But are there butterflies in a desert? I introduced this question to many people around the world. Most people believe that, ‘naturally’, there are no butterflies in such hot, extreme conditions and environments. After all, what would such an accomplished and colorful creation be doing in such an abandoned, forsaken place? Then I researched a bit, I found out that not only butterflies DO exist in ALL the deserts of the world, they are also one of the more common and diverse creatures in deserts, showing many different types of butterflies in all of our planet’s deserts. They adapt to the extreme yet ‘predictable’ weather conditions very well. 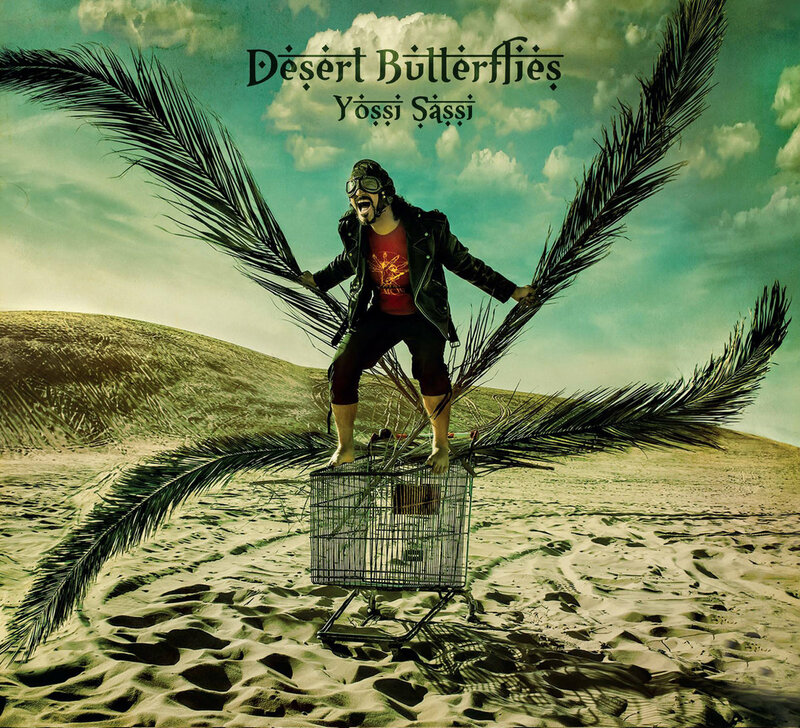 So there ARE butterflies in deserts. And more common than we’d think. The life-cycle of a butterfly starts with an egg. It turns into a caterpillar, crawling around (like ‘a baby’), then a cocoon (‘an adult’, if you’d like). The cocoon is a still phase, in which the butterfly resides within its solitary shell. Finally – the butterfly emerges (the accomplished adult, the ‘dream’). Many of us spend our lives in our cocoons; it’s a shell that defines us, regardless of who we really are, what our dreams truly are. Jobs, titles, the way to think & behave. What about you? Do you follow your dream, in a liberated & colorful way? Things aren’t what they seem. Butterflies CAN live in deserts very well, against common belief and our natural instinct. People CAN fulfill their dreams against all odds. The human spirit is stronger than any misconception. We can and do fulfill our dreams in the most unbelievable places. You too can be the butterfly in your desert, flying and emerging from your own routine. Even in your day-to-day of the modern world, where it seems non-reasonable or even impossible to be what you should really be... follow your dream. Be the butterfly you can be. Mariangela Demurtas – Female vocals on "Believe"
Marty Friedman – Lead Guitar on "Orient Sun"
Ron ‘Bumblefoot’ Thal – Guitar solo on "Fata Morgana"
Erez Lev Ari (courtesy of NMC United) - Choir vocals, additional guitars on "Fata Morgana"
Engineered & recorded by Liron Schaffer at Bardo Studios, Ramat Gan, Israel and Piloni's Studio (Zaza Jaffa), Tel Aviv, Israel. 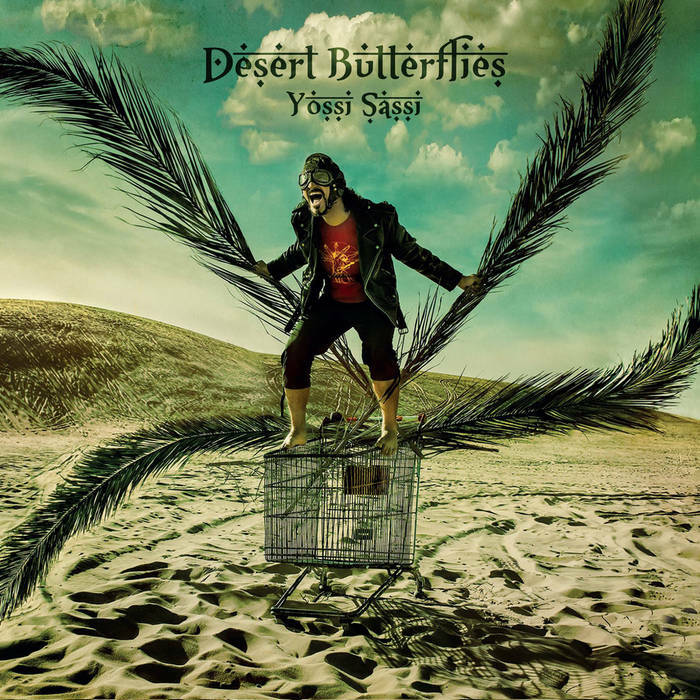 "Jason's Butterflies" engineered and recorded in 1998 by Udi Koomran at his living room, Tel Aviv, Israel.